EAST PROVIDENCE, R.I. – A bitter dispute over abortion that prompted Rhode Island’s Roman Catholic bishop to ask Rep. Patrick Kennedy not to receive Holy Communion has revealed the depth of the divide among Catholics over how politicians should reconcile their faith with their public duties. Bishop Thomas Tobin on Sunday said he made the request because of the Democratic lawmaker’s support for abortion rights. The news prompted debate among Catholics around the country and withinRhode Island, the nation’s most Catholic state, about whether it was right for Tobin to publicly shame Kennedy for breaking with the church on what its leaders consider a paramount moral issue. Angel Madera, 20, a Marine visiting his home in Providence for Thanksgiving, said before attending Sunday evening Mass that Tobin was wrong to assail Kennedy’s faith. “If they believe they’re a true Catholic, who’s to say that they’re not?” he said. Others, like Kay Willis, of Smithfield, applauded Tobin for calling Kennedy to account over the conflict between his professed faith and voting record. “If you’re going to be a Catholic, be a Catholic,” she said. The fight began escalating shortly after the death of Kennedy’s father, Sen. Edward Kennedy of Massachusetts, and came to a head on the 46th anniversary of the assassination of his uncle, President John F. Kennedy. Their simmering dispute escalated in October when Kennedy criticized Catholic bishops for threatening to oppose an overhaul of the nation’s health care system unless lawmakers included tighter restrictions on abortion, which have since been added to the House version of the bill. Tobin said he felt Kennedy made an unprovoked attack on the church and demanded an apology. Since then, their feud has played out in public. Tobin, who has said he might have gone into politics were he not ordained, has written sharp public letters questioning Kennedy’s faith and saying his position is scandalous and unacceptable to the church. Kennedy has said his disagreement with the church hierarchy does not make him any less of a Catholic. Two weeks ago, after a planned meeting between the two fell through, Kennedy said he wanted to stop discussing his faith in public. But then he told The Providence Journal in a story published Sunday that Tobin instructed him not to receive Communion. He also claimed the bishop had told diocesan priests not to give him Communion. Kennedy and his spokespeople did not return repeated requests from the AP seeking comment. Tobin said he wrote to Kennedy in February 2007 asking him not to receive Communion, but never formally banned Kennedy from receiving Communion nor instructed any priest not to give it to him. Kennedy said this month that he receives Communion, but he did not say whether his priest is in the Diocese of Providence. Tobin only has authority over priests in Rhode Island, which has a higher percentage of Catholics than any other state. The bishop said he would probably not personally give Kennedy Communion and might have “a little conversation” with any priest who regularly gave Kennedy the sacrament. Catholics nationally have been spit over the issue. Michael Sean Winters, author of “Left At The Altar: How the Democrats Lost the Catholics and How the Catholics Can Save the Democrats,” said he found the public dispute unseemly, even though he opposes abortion and thinks Kennedy is wrong. He said bishops are not making appropriate distinctions when penalizing people over abortion. There’s “a difference between being an abortion doctor, procuring an abortion for yourself or your spouse and saying, ‘I don’t think abortion should be illegal,'” he said. Abortion is a major concern for Catholic bishops because opposition to the procedure is based on the church’s earliest teachings on preserving human life, which have not changed. By comparison, church teaching on the death penalty is not as definitive and has changed over time, making it difficult for church leaders to demand that Catholic lawmakers agree. A small number of prelates have publicly asked a Catholic politician to voluntarily abstain from the sacrament. Mark Silk, director of the Greenberg Center for the Study of Religion in Public Life, said statements made in 2004 by St. Louis Archbishop Raymond Burke, who threatened to deny Communion to Democratic presidential candidate John Kerry, intensified the debate. “There’s real disagreement as far as anybody can tell among the bishops, but they don’t like to publicly criticize each other,” Silk said. Other Catholic politicians have wrestled with the same issue Kennedy faces. In 1984, former Democratic New York Gov. 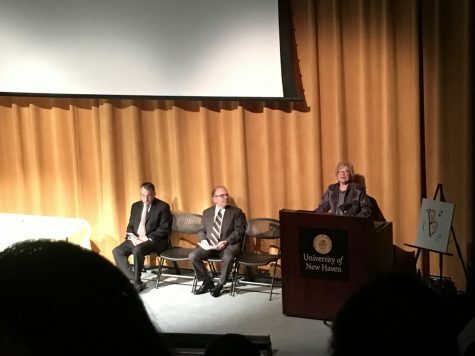 Mario Cuomo, a Catholic who supported abortion rights and was at the time a potential presidential candidate, delivered a speech at the University of Notre Dame explaining that Catholic lawmakers shouldn’t be pressured by church leaders to work for anti-abortion legislation. He said Sunday it’s dangerous for the church to pressure politicians because of the potential for unintended consequences. “If you’re required (by the church) to make everybody follow your Catholic role, then nobody would vote for Catholics because it’s clear that when you get the authority, you’re going to be guided by your faith,” the former governor told the AP.